Miyamura’s got Hori in a tizzy after he casually murmurs “I like you” while she’s pretending to be asleep! Miyamura and Hori have slowly been getting closer to one another, and it looks like they won’t be able to remain “just friends” for too much longer. Hori is freaking out after hearing Miyamura murmur that he likes her while she is out sick, and now she doesn’t know how to handle having to confront her feelings head-on. Meanwhile, Miyamura worries that he won’t be good enough for Hori and asks his friends for guidance going forward, but he’ll have more to worry about now that Hori’s dad has returned home! The core of Horimiya’s success in its first three volumes has been the constant sense of romantic progression between Hori and Miyamura as they embark on a number of sweet little occurrences. Horimiya has done a great job showing Hori and Miyamura’s respective feelings developing and being tested as they spend this time together, and this was brought to the forefront in the previous volume as they began to really contemplate the direction their feelings were moving in. We got a tantalizing cliffhanger where Miyamura confessed to a supposedly-sleeping Hori, and the beginning of this volume deals with the fallout from this unexpectedly casual moment. We see both of them worrying separate about how to act around the other, and what I really liked about this was the way that it established their respective feelings in a strong and tangible way. This is especially true for Hori, who promptly freaks out about the entire thing especially after she worries that Miyamura is spending time with another girl. However, one of the best parts of this little episode was that the type of needless melodrama seen in many other romance series is avoided simply because the two try to talk to each other fairly quickly about their feelings. Overall, the beginning of this volume sets up strongly for the more serious relationship development that comes afterwards, and I really liked the exploration of their feelings separately here. After worrying about their feelings separately, Hori and Miyamura mutually attempt to face each other head on to discuss their feelings. This was as charming as ever after seeing their separate thought processes represented, and I really liked the way that we got to see the minor contrasts between their thoughts and actions shown here. This ends up being interrupted by the arrival of a strange man who ends up being Hori’s dad, interrupting their little heart-to-heart seemingly just before we get to the real core of their feelings. While I was initially rolling my eyes at this impromptu interruption, I was pleased that the addition of Hori’s dad actually propelled the two to an understandings in a scene that felt extremely characteristic of the sort of realism this series done a great job creating in a really cute scene which finally sees the two begin dating. If we’re being honest, our two main characters have been “dating” for a couple volumes now, and a Hori-family ramen trip that follows really succeeds as a culmination of their process of figuring out their feelings and moving into the next stage of their relationship. While the art in this volume is more or less the exact same quality as the rest of the series, I really liked the panel framing used during Hori and Miyamura’s walk back from their ramen dinner for the first time as a couple because of the way that the scenery such as the starry night was used to evoke a feeling of them being on the verge of a new stage of their relationship. We also get plenty of emphasis on their faces to go along with the more emotionally fraught moments, and I thought this added to the conveyance of their feelings appropriately in the absence of them explicitly discussing their new development. Once again, it’s all delightfully understated and I was definitely please with the sweet way that this was handled. The addition of Hori’s dad might have seemed like the type of last-minute distraction preventing a confession from happening that is fairly typical of romance stories, but I was really happy to see that his presence pushed their relationship along while being a really funny inclusion into the main cast of characters. Kyousuke (as he is called by Hori) becomes a little too attached to Miyamura like the rest of the family, and enthusiastically embraces his inclusion into their family with hilarious vigour. This results in Miyamura sleeping over and generally spending more time with Hori and the family, and I really enjoyed a number of these scenes such his sleepover because of the self-aware comedic relief he provided (he’s well-aware and lampshades the “stern dad” almost immediately) as well as the change in formula for pushing Hori and Miyamura’s relationship forward. Miyamura’s interactions with Kyousuke are also satisfying because of the blunt questions Kyousuke asks which force Miyamura to consider his feelings towards Hori in a more forceful way, and I liked the way that this fleshed out Miyamura’s feelings as the story proceeded. The end of the volume concerns with the fallout resulting from news of Hori and Miyamura dating starting to make the rounds, and this ends up adding another interesting bit of development to their relationship. The two end up being judged for the perceived lopsidedness of their relationship based on Miyamura’s looks reputation and looks, and this begins to make him feel guilty. This was a good call-back to his worries in the first volume about him embarrassing Hori, and I liked that in this case we see him make a pretty definitive statement that I thought really emphasized nicely how much he cares about Hori. Their other friends get some good development here too in a few scenes, and I’m definitely excited to see how Hori and Miyamura’s relationship develops in both the time they spend together as well as the time they spend with their friends. 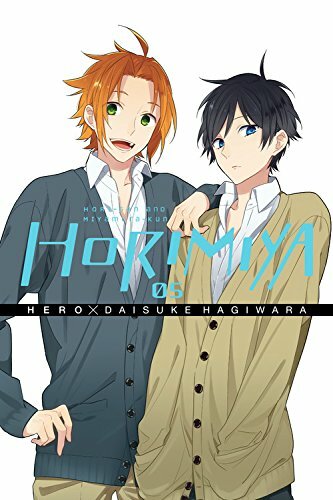 Horimiya Vol. 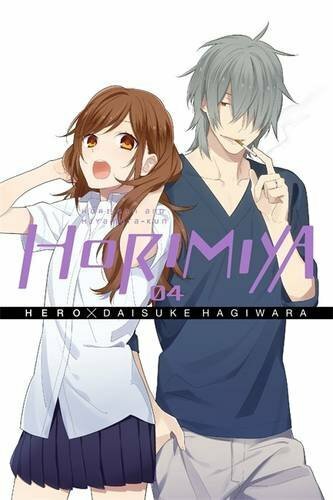 4 is another enjoyable volume in this series that continues this series nuanced take on the development of Hori and Miyamura’s relationship as they take a large step forward together. I enjoyed the way that their relationship proceeded without any distracting melodrama, and that the overall progression here was an ideal combination of sweetness and realism in their transition from being “just-friends” to something more defined. The addition of Hori’s dad to the plot was also entertaining, and I liked the way that the entire Hori family has helped push our main couple along in a funny and meaningful way. All in all, if you’re looking for the type of dramatics found in other series you may want to look elsewhere, but if you’re looking for a more understated and nuanced romance Horimiya is definitely a series you need to be reading. 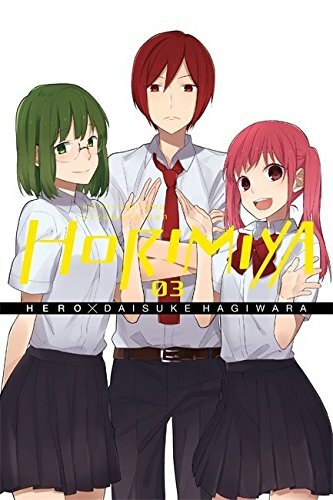 Horimiya Vol. 4 was published by Yen Press on July 26th, 2016. 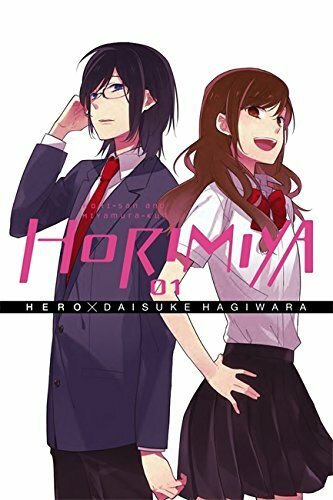 Authored by Hero and illustrated by Daisuke Hagiwara based on HERO’s original web comic, the series is currently ongoing and published by Square Enix’s GFantasy magazine. Volume 5 will be published in English on October 25th, 2016.